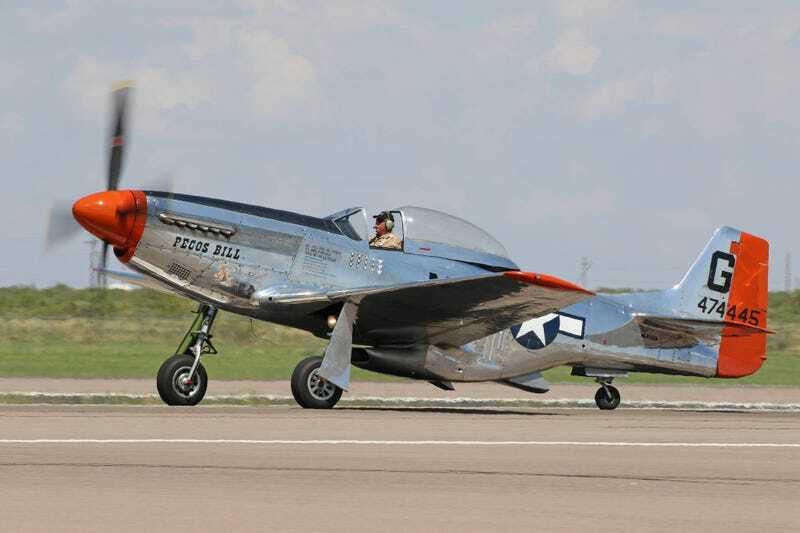 A P-51D Mustang, Pecos Bill, from the group Freedom Flyers and piloted by Cowden Ward, crashed into an apartment building parking lot in Fredericksburg, Texas on Saturday, killing Ward and his passenger. Nobody on the ground was hurt. The aircraft was returning to the airport following a flyover at the National Museum of the Pacific War, and the passenger was a WWII veteran B-17 pilot who was along for the ride. No cause of the crash has been given, and the NTSB is investigating.